Frank Del Angel started out with the aspiration to be an accountant. Working his way through college at then-Pan American University, the Harlingen native discovered via a job at a downtown McAllen men’s clothing store that he a talent for another skill – sales. He would parlay that ability to join a major homebuilder. It would lay the foundation for future success. Del Angel got a job with U.S. Homes and learned the business from the ground up. The company’s training in sales, construction and management would give him the range of experiences and knowledge he would need to someday start his own company. Before that dream became a reality, Del Angel would spend 16 years working for U.S. Homes in the Rio Grande Valley, with a focus on the Mid-Valley and Harlingen markets. Selling on average 40 to 50 homes a year for U.S. Homes, he would learn all facets of what it takes to sell, build and complete the home-building process. In 1999, Del Angel began Homelink, a custom home building company that would focus on higher-end homes and more specialization versus the track home models of U.S. Homes and other larger scale builders. He began in the Treasure Hills area of Harlingen. His first Homelink home went up there and quickly sold. Del Angel’s second home was built across the street and was purchased by the new police chief of the city at the time. From that point forward, he never looked back. Using Harlingen as a base, Del Angel’s Homelink would fan out across the Valley, with his customer base going from Weslaco to the Harlingen-San Benito area and to Brownsville. 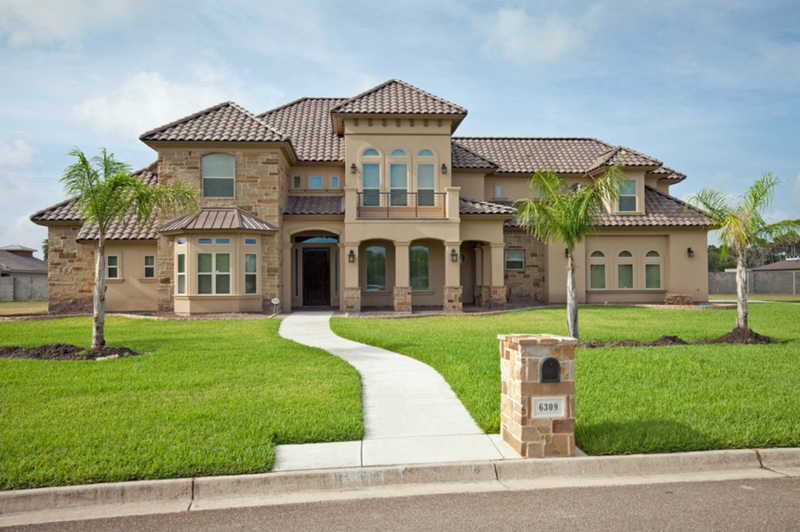 Homelink homes can be found from Tierra Santa in Weslaco to the Wildwood subdivisions along Stuart Place Road in Harlingen to The Woods along Alton Gloor Boulevard in Brownsville. The price of Homelink homes starts in the low $200,000s to over $500,000, with square footage going from the 2,500 range to up to 10,000 square feet. All of Del Angel’s homes have the attention to detail and quality that’s expected in a high-end builder of homes. He said the key is having quality subcontractors in the various specialties of constructing a home. 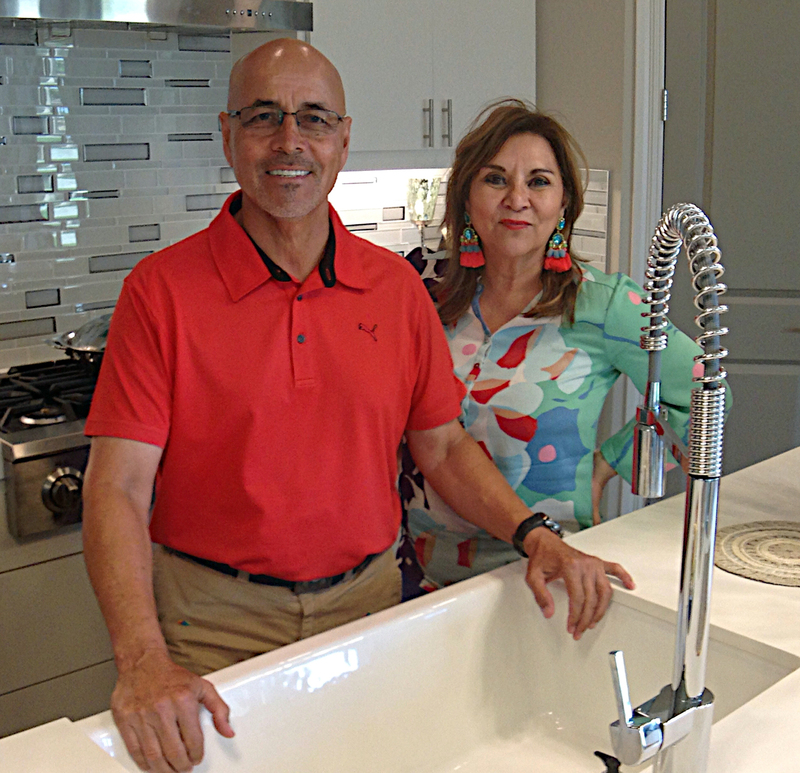 With his wife, Haydee, as a partner in sales and home design, Del Angel’s business is robust as he continues to build higher-end homes in the neighborhoods along Stuart Place Road in Harlingen while continuing with projects from Weslaco-to-Brownsville. 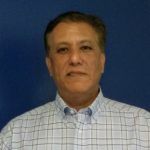 Ricardo D. Cavazos is a journalist and business executive who has over 30 years of experience as a reporter, editor and publisher and is currently managing allied health schools in the Rio Grande Valley and Laredo. Working for Freedom Communications, Cavazos served as editor of The Monitor for eight years and was publisher of The Brownsville Herald for 14 years. He also served as publisher of the Valley Morning Star for one year and launched two Spanish-language publications - El Nuevo Heraldo and El Extra. He is an Edinburg native currrently living in Harlingen.